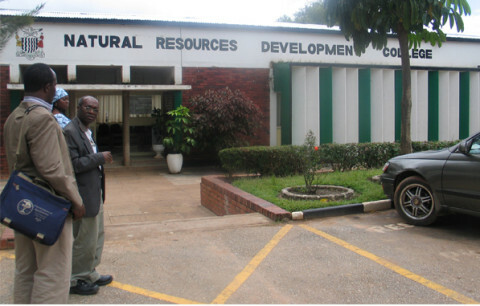 The Natural Resources Development College(NRDC) land reserved for practicals has been sold. A source at the Ministry of Agriculture has disclosed that the land along Kasisi/ Ngwerere road had been subdivided into residential plots and sold off by Patriotic Front Lawyer Germano Kaulungombe. “The excuse the government is giving for selling NRDC is that of having no land for practicals. That is not true. NRDC had land along Ngwerere road that road which comes from Kasisi through Ngwerere to the Kabwe road. It was reserved specifically for NRDC practicals,” the source said. former Commissioner of Lands Barnaby Mulenga who is also a cousin to Lawyer Kaulungombe and currently Permanent Secretary at Labour reposessed the land from NRDC and subdivided it and engaged the cousin to sell mainly to PF cadres. The trend has continued under the current Commissioner of Lands Wifred Muma. ” For once can someone be arrested for this. We are now selling a College because someone grabbed land from the college. Note that this is a sale not a lease as government would want us to believe because a lease of 99 years is as good as a sale,” the source said.